- Historians are still debating whether this vehicle was really a recovery vehicle. - I decided to let my imagination run loose on this kit and build it as a what-if. I therefore didn't focus too much on the accuracy of the kit. My comments will mostly relate to the ease of construction. The instructions show parts "blued out". Normally that means that they are included but not to be used; some are not included however. That means this kit cannot be build as a gun tank, which I had hoped to do based on the parts diagram. Conversely, some parts are not blued out but not to be used either. The parts diagram doesn't correspond for the full 100% with the sprues. To add insult to injury, some of the part numbers called during construction don't correspond either (e.g. B17 should be A17, etc.). The cog for the winch is oval, which I find suspect. The louvers in the engine deck will allow you to see inside the (empty) hull. The slit in the headlight is portrayed as a raised line. There is a nicely rendered line on the extreme tip of the glacis which I haven't seen on real Tigers. To make the upper and lower hull fit some trimming of the parts will be necessary. There are no recesses in the tracks for the teeth of the drive sprocket. Cutting off some teeth seems like the only reasonable solution. For the orientation of the tracks refer to the boxcover, not the paint diagram. 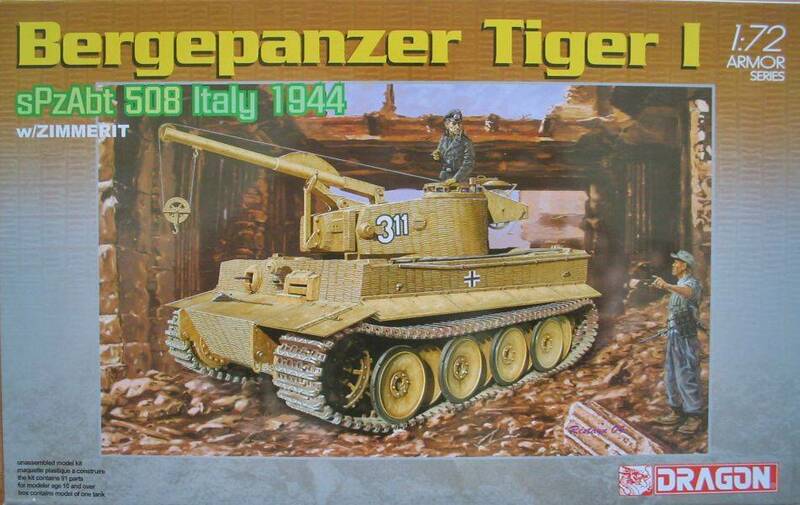 Not all Tigers had chevroned tracks, by the way. The tracks are the original DRB (dreaded rubber band) type of the pre-DS era. While well detailed, they hold paint and glue badly and are a tad overstretched. Even if you firmly secure the drive sprocket and idler the tension will make the tracks cave in between the two disks of the drive sprocket. If I had caught this earlier I would have given them some support in that area. Now mud will have to come to the rescue. Apart from this, the kit is actually a breeze to build, mostly due to the rather low parts count. The roadwheels come as two parts on each side, limiting construction to almost nothing and ensuring perfect alignment.